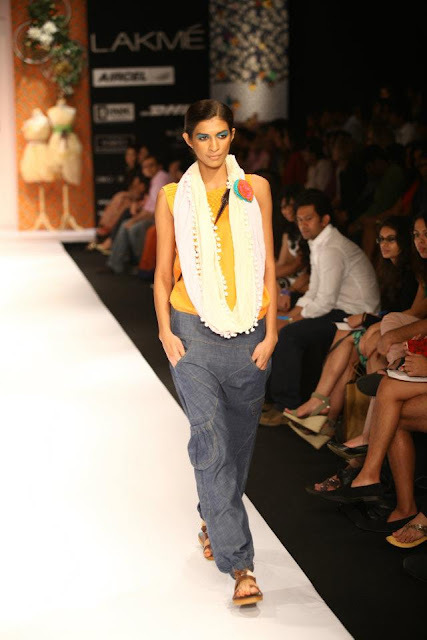 Priyadarshini Rao's summer collection looked extremely comfortable and perfect for casual wear leaning more towards daywear. 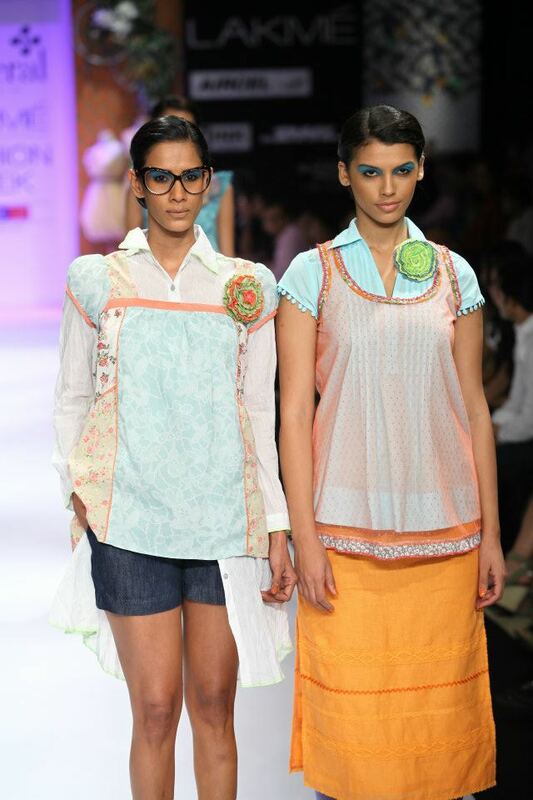 This cotton based and super wearable collection suits the Indian summer perfectly.What particularly caught my attention and liking more than the clothes was the hair and makeup, with the hair being pulled back in neat little buns and face being simple with a splash of bright blue eyeshadow on all the models. 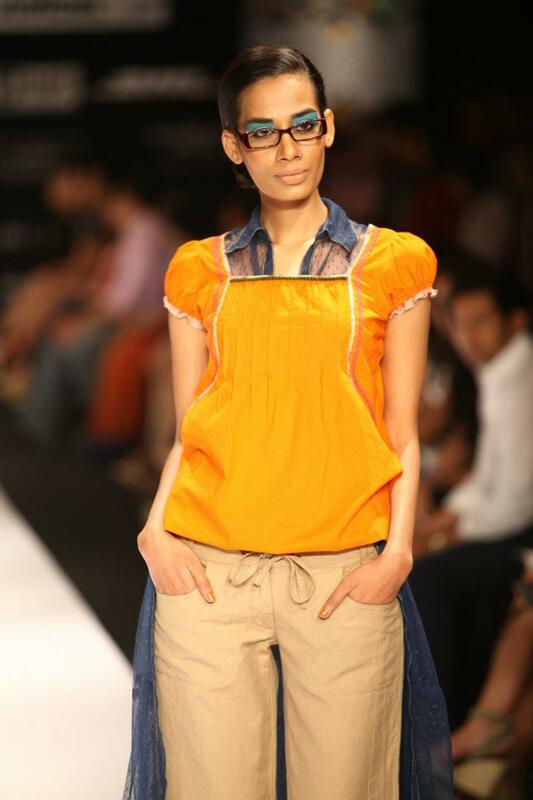 I also really loved the cool specs that some of the models wore. Guess I should be happy that her store is not too far away from my house so I can get my hands upon those awesome frames! !